Catherine Sissons has combined science of the body and eating behaviour to teach people how to eat in a simple and healthy way – without the guilt. 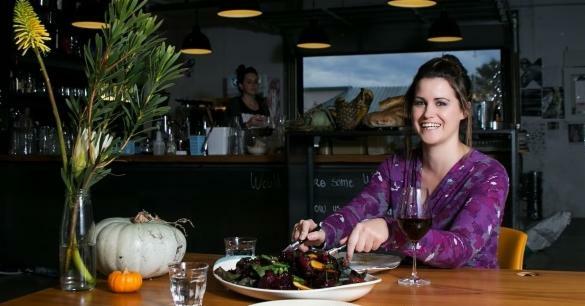 Catherine left Christchurch just before the first 2010 earthquake and developed her nutrition consultancy in Auckland. Her position as The Guilt Free Nutritionist evolved seven years into her business, when she became a mother herself and she soon realised standard healthy eating advice was hard to upkeep with the stress and pressure of being a new mum. The Guilt Free Nutritionist was born. The ‘Science of Satisfaction’ as published in her book Wet Your Appetite – The Secret to Eating Guilt Free, combines her knowledge on mindset, health, and wellbeing with her passion for food and cooking. Fast forward to ten years later, and Catherine has published multiple books, created an online food school, and assisted countless people in their goal to be happy, healthy, and to understand how to nourish themselves both physically and mentally, when it comes to food. How does it work? She uses her own ‘Science of Satisfaction’ – a combination of particular ingredients in each meal, such as carbohydrates, protein, produce, and flavour. There are endless options to adjust out, as Catherine herself says she’s ‘encountered every type of allergy or dietary restriction’, so there’s no need to eat like you’re missing out. Catherine is as passionate in person as she is in her videos on her site – engaging, but with an uncomplicated approach to her craft. There’s no talk of restrictions or a diet of rabbit food. Just a measured approach to food that nourishes your body, and your mind. No quick fixes, no magical potions. Just delicious ideas to equip you on your journey to being a better you, all the while putting aside the hassle of thinking what to eat. There are 1:1 sessions with Catherine, where you can get to the bottom of cravings and identify actions around your eating – removing the stigma and shame around food choices. Catherine is a working mother, with a three-year-old son, Charlie. She lives a busy life, and her own recipes are put to test in real life situations – her own. She says once her clients take the plunge with their first recipe, they never look back. What a great position to be in.